Undocumented, or ‘ newcomer’, children and families face specific challenges in a new country and in working with social service sectors. Children’s Aid Societies in Ontario is involved in ongoing work with governmental, regulatory and community organizations and has taken a number of initiatives to better provide service to newcomer communities. Peel Children’s Aid, for instance, helped to develop a protocol with Citizenship and Border Services, and follows a specific policy on investigating issues related to unaccompanied minors. Peel CAS also has an agreement with Pro Bono Lawyers to provide assistance to separated children without immigration status. The agency has a team of protection staff with knowledge and expertise in the area of immigration which works with newcomers, as well as provides consultative services throughout the agency and the field. Along with Peel, a number of GTA CASs are involved in a liaison group, including the Canada Border Services Agency and Citizenship and Immigration Canada, to continue to discuss how to better serve newcomers, including unaccompanied minors and separated children. A Photo of British Home Children, year unknown. In the 19th century, the issue of a growing number of neglected and orphaned children in Britain combined with labour shortages in the British colonies, led to a movement initiated by evangelical missionaries and charitably-minded citizens to remove children from urban slums and send them to the British colonies in North America where they were promised an improved quality of life. However, growing controversy drew attention to the fact that these children represented “an unwanted segment” of the British Society and it was left to the colonies, including Canada, to care for them. Children were separated from their families and their siblings at a very early age and many proved to be not orphans at all. Between 1870 and 1957, it is estimated that more than 100,000 children (70,000 to Ontario alone) were sent to Canada by several different organizations, the most famous of which is Dr. Barnardo’s Homes. Canadians were reported initially to have held this program in positive regard because of the tremendous labour shortage on farms and in surrounding rural communities. Arriving in Canada after often long and treacherous trans- Atlantic journeys, children were placed temporarily in large boarding homes established in Toronto, Belleville and Niagara-on-the-Lake before being assigned to their places of employment. The successes of placements appeared to be often focused on the needs of the family rather than on the needs of the child. Supervisory documents noted the efforts made to ensure the satisfaction of the ‘adopting’ family, in contrast to the current model, which matches the needs of a child with that of a family in the best interests of the child’s well-being. Miss Barber of Miss Macpherson’s Knowlton Home noted in her diary,“ Every persontaking children has them on trial for the first year with the right of returning them if not satisfied“ (Sutherland p. 10). Over a one hundred year period beginning in the mid 1800’s, the ranks of orphaned, neglected and dependent children in Canada, particularly in Ontario, swelled by more than a hundred thousand. These ‘Home Children’ were placed temporarily in large receiving residences before being sent to more rural communities where their services were required as cheap farm laborers and domestics. Although some Home Children thrived, others were abused and exploited and investigations into allegations of maltreatment were often inadequate. Much has been written about the harsh life experiences of many of these children whose lives were not always easy and for whom promises made when leaving their homeland, went unfulfilled. It is estimated that 12% of the Canadian population can trace its origins to a British Home Child. As Superintendent of Neglected and Dependent Children, in the early 1900’s, JJ Kelso was assigned the responsibility of overseeing these placements for a brief period of time until this responsibility was assumed by the federal government several years later. The overall success of many of these home placements was believed to have significantly influenced Kelso’s strong belief in foster care. ^Anon (22 November 2003) “English Orphan Transports: Fairbridge and Foundation Historical Boys Clothing” retrieved March 10,2012. Sutherland, Neil. (2000) “Children in English-Canadian Society: Framing the Twentieth Century Consensus” Wilfred Laurier University Press, Waterloo. The Ontario Association of Children’s Aid Societies works closely with child welfare agencies throughout Ontario in service of the welfare of children, youth and families. Ontario’s community-based Children’s Aid Societies (CASs), partner with community service organizations, some of which came into fruition more recently than the turn of the 20th century, to identify and serve the needs of children and families in a variety of ways. These partners include: counsellors, medical professionals, social housing organizations, food banks, and many more. The sector’s focus on community building is strengthened by a commitment to anti-oppression, and providing service and support in such a manner that reduces barriers to opportunities that marginalized communities face in their lives, including income and class-barriers. The global influence of 16th and 17th-century European philosophers effected many changes in Europe and North America in attitudes towards families, children and child-rearing in the 18th century. Part of this cultural shift was a growing concern for human worth and an increase in social efforts to relieve human suffering. Worry about the vulnerability of their own children and potential impact on the future of the community caused parents and community leaders to seek different ways to reduce the perceived threats to their stable families by criminal and so-called delinquent children. There was unease that children and youth who were raised in unstable families would negatively influence their own with evil and criminal ways. Ontario’s rapid growth in industry and manufacturing attracted immigrants from Europe and created an industrial working class as well as slum areas in urban centres. Families who were unable to profit from the major growth in this economic and industrial period were also facing realities in their new homeland such as drought, disease and periods of economic depression. Some families abandoned their children. Some placed their children as apprentices to help them learn a trade. Children were forced to work at a very young age. They sold newspapers or pencils on street corners, worked long hours in dark and unsanitary factories and in some cases were forced by their parents into lives as beggars or thieves. Life for poorer families and their children was harsh. Children from poor families were often abandoned or forced to work as soon as they were able, and some became beggars or stole food to survive. More well-off families from the upper and middle classes reaped the benefits of the cultural shift to an increased focus on family and child-rearing given their leisure time and comfortable standard of living. With this class divide came a growing fear that children from poorer families without the benefit of a ‘good family upbringing’ may negatively influence the more well-off children as well as the future of society. Enthusiastic Christians took upon themselves what they saw as their duty to improve the lives of those less fortunate. Included in this movement were people like JJ Kelso, a journalist largely acknowledged as the founder of child welfare in Ontario, who used his existing position and skills to advocate for ‘ improved’ conditions for children and their families. Commitment to the prevention of cruelty to animals long preceded any interest in issues of inhumane treatment to people. In the late 1700’s, reformers in Great Britain launched a campaign to prevent cruelty to animals. This concern was taken up by the Americans in the mid 1800’s with the organization of humane societies and societies for the prevention of cruelty to animals, in particular to farm and work animals. But these societies did not concern themselves with children until 1873 when the well-publicized case of Mary Ellen Wilson came to the public’s attention through extensive newspaper coverage, championed by community worker Ella Wheeler. When community worker, Ella Wheeler discovered Mary Ellen Wilson horribly beaten, tied to a bed in her locked tenement apartment in New York City, she turned to the only organization she could think of to help her rescue this abused eight year old girl – the Society for the Prevention of Cruelty to Animals that had been in existence there since 1866. After the child was rescued from her tragic situation, Miss Wheeler convinced the organization’s director Henry Bergh of the need for an agency to advocate for, and prevent the abuse of, children. This was accomplished two years later with the creation of the Society for the Prevention of Cruelty to Children. (This organization exists today and focuses its attention on parenting programs, trauma recovery and crisis debriefing for child welfare workers.) An association of like-minded agencies was formally organized as the American Humane Association in 1877. It too, is still in existence today and has been at the forefront of child welfare and protection advocacy, research and legislation reform and development. In Canada, ten years later, young Toronto journalist, JJ Kelso, spoke passionately to the Canadian Institute about the need for a general humane association . Due to the positive support from the audience, the Toronto Humane Society was formed just a few days later in 1877 and Kelso became its first general secretary. It was intentionally formed with the broad purpose of protecting both animals and children in order to avoid confusion with the Toronto SPCA that had been unsuccessful in sustaining its Toronto activities in the preceding decade. Kelso’s work with the Toronto Humane Society and its efforts to address child welfare reform issues provided a firm foundation upon which today’s child welfare system has been built. 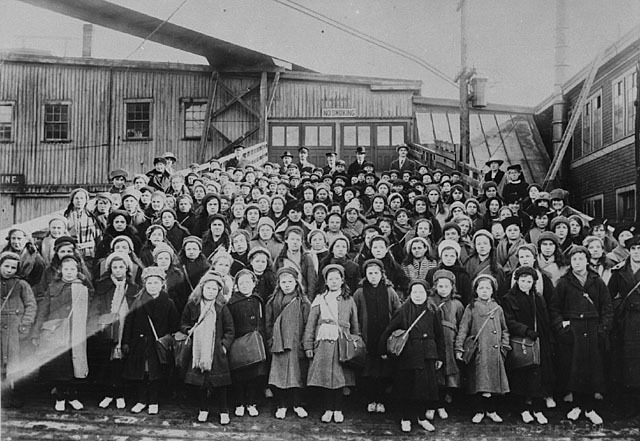 Active advocacy with the government proved successful and in 1888, the government acted to pass a bill to extend government responsibility for neglected children. The Children’s Protection Act was one of the most significant accomplishments for Kelso and the Humane Society. 1 McCullagh, John “A Legacy of Caring: A History of the Children’s Aid Society of Toronto” p.35 Copyright 2002, John McCullagh.